The idea for Zen grew out of discussions among the ZClassic community. Some of the team wanted to enable even more capability for the cryptocurrency. These additional features and capabilities led to the idea of a cryptocurrency that was something new and different, borrowing from other successful currencies like Dash and Decred, and then adding something more. Realizing that many members of the ZClassic community are strong believers in the existing ZClassic vision, and many members want to support Zen, the new platform, the team realized they could do both. Zen could be launched as a fork of ZClassic, developers could work on both, then over time existing and new developers would gravitate toward one or the other. 5% to the Zen DAO to fund growth of Zen through projects. 3.43% of the mining reward to publicly verified secure full nodes. 3.43% to the core team for Zen operations expenses. Governance of the DAO through a voting process encompassing the Zen stakeholders, similar to Decred. 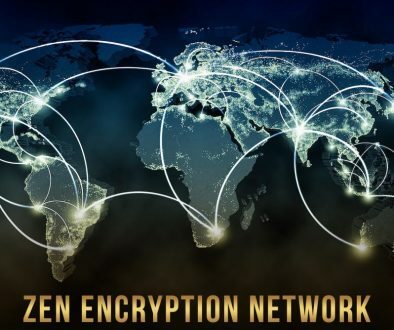 The features of Zen address some of the potential weaknesses of many of the older cryptocurrencies, and have the potential to make Zen the strongest and most capable coin available. By maintaining 88.14% of the mining reward with Zen miners, this ensures the network will gain significant mining hashpower, helping to process transactions, and protecting against a 51% attack. 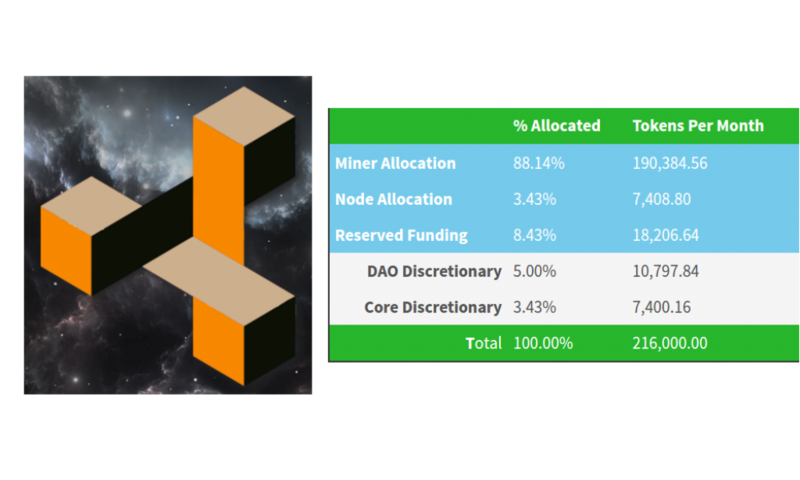 Creating a Zen Distributed Autonomous Organization (DAO) helps to prioritize development projects, pay for marketing, integration, and complex development projects, and ensures fund available for aspects of the coin improvement that require payment. The governance of the DAO will bring in different elements of the Zen community, ensuring many different voices are heard, and helping to finance projects the community finds valuable. 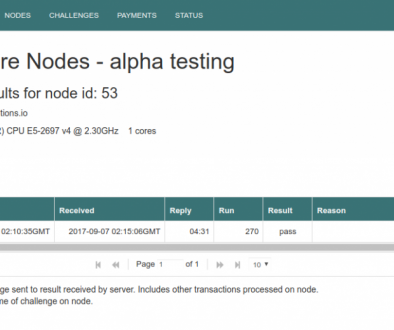 Paying active nodes, and making sure they maintain a basic standard of security and performance will make Zen distributed, resilient, and secure. By enforcing encrypted communication between nodes, and between nodes and wallets, protects against eavesdropping and man-in-the-middle attacks. As Zen grows in ability, the node operators who want to get paid will continue to keep their nodes up to date, will keep them secure, and will make sure they support the network as a whole. This payment adds a layer of resilience lacking in most other cryptocurrencies. Zen also addresses a metadata weakness of other cryptocurrencies. By communicating in a potentially compromised fashion, then sending Bitcoin, transaction correlators have the ability to identify the participants of a Bitcoin transaction. Zen will incorporate secure messaging within shielded transactions, so users can first agree on the transaction, send it, then verify receipt. Fully anonymously and securely. For more complex secure communication, Zen will integrate with distributed storage to the Inter-Planetary File System. Zen will launch as a fork of ZClassic. Inspired by Ethereum Classic’s fork from Ethereum, all existing ZClassic holders will receive an equal amount of Zen at launch. This is a demonstration of the support of the community for both coins going forward. The Zen team is working with select Exchanges to assist in this process, and will announce the specific ways to make sure Zen coins are awarded 1-for-1 with existing ZClassic. Zen is a truly revolutionary platform that takes the best from other crypto-currencies and adds secure communications, secure resilient nodes, and a governance organization to enable continued improvement forever! If you would like to be part of the Zen movement, come find out more and become part of the community at zencash.io. i have some zclassic stored on a laptop, how will i get zen 1 for 1? do i have to fill in some form and submit it? or should i put my zclassic on an exchange and hope it happens for me? Having it on a laptop wallet is great – you almost already there. To get ZenCash after May 23, export the wallet file from your Zclassic wallet application, then import that into your ZenCash wallet application. This will import your Zclassic private keys into your ZenCash wallet, and your ZenCash balance will appear in your ZenCash wallet. Can I export the keys now and just use it on the Zen wallet after May 23rd, or does the export file need to be generated after the split on the 23rd? If I keep ZClassic on the exchange, will you automatically compensate Zen? I downloaded a version of the Zclassic wallet & server and added 380 Zclassic. However, when I try to open the server/wallet I keep getting error messages and I messes with my PC. Please, can you point me towards someone I can trust, whom may be able to help me who’s within the ZClassic/Zen community? Please join in the Zclassic slack and ask your question there. That’s the best place for support. I hear that you’re doing a public offering this coming Friday or the 26th, what will be your ticker symbol for the New York Stock Exchange? I over bought some 2 BTC worth of ZCL and Zen. Willing to sell below spot if anybody interested text me 702-426-5510. Minimum trade 0.25 BTC. Hello,I check your blog named “Zen is Launching as a Harmonious Split with ZClassic in May – Block Operations” like every week.Your story-telling style is awesome, keep it up! And you can look our website about proxy server list.